HERNDON, Va.â July 3, 2014 â Northrop Grumman's (NYSE:NOC) Lake Charles Maintenance and Modification Center has received AS9110 certification from Lloyd's Register Quality Assurance Ltd. (LRQA). 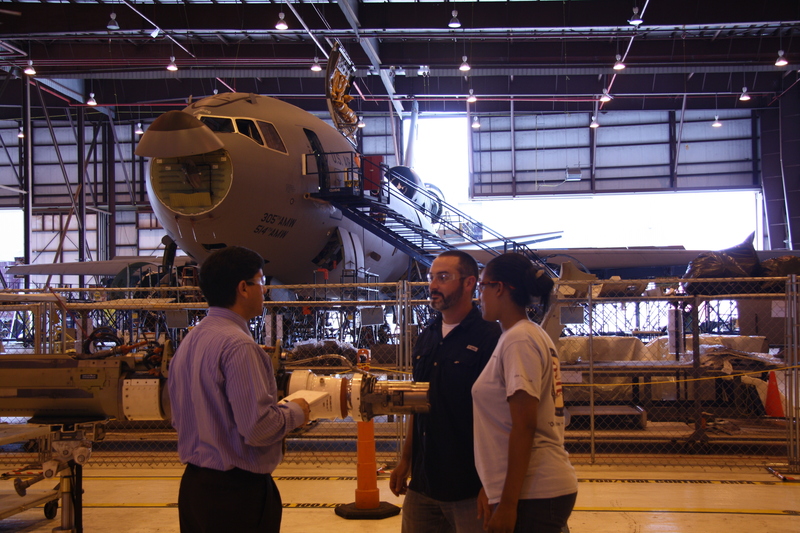 The certification confirms the facility's ability to perform maintenance, repair and overhaul work to the aerospace industry's highest standard. Lake Charles serves as Northrop Grumman's U.S.-based center of excellence for heavy-wing aircraft sustainment. Northrop Grumman also has an AS9110-certified center of excellence in Australia. "For our global customers the significance of this certification is that our quality management system performs to a high standard for aviation maintenance, repair and overhaul, minimizing associated risks," said Ruth Bishop, vice president, quality, safety and mission assurance, Northrop Grumman Technical Services. "It also demonstrates our strong commitment to ensuring performance, quality, safety and program affordability for our customers." AS9110 was developed by the International Aerospace Quality Group (IAQG) specifically for aviation, space and defense organizations. The standard focuses on the control of parts; repair and maintenance plans; and configuration management. A range of areas identified by the Federal Aviation Administration are also covered by AS9110, including the requirement for repair approvals and personnel certification. As with other AS9100 standards, it is based on ISO 9001, but with additional requirements that are specific to the maintenance, repair and overhaul portion of the aviation industry. "We commend Northrop Grumman's Lake Charles team for their hard work and dedication in implementing an aerospace quality management system that meets the requirements of AS9110," said Michael Harder, LRQA's senior technical manager for North America. "Aerospace quality standards are some of the most stringent, and their AS9110 certification is a reflection of the organization's commitment to meeting, and in some cases exceeding, one of the aerospace industry's toughest quality management criterion." With more than 800,000 square feet of hangars, repair facilities and office space, the Lake Charles Maintenance and Modification Center is part of a larger 1,050-acre aircraft modification center located at Chennault Airport. The Lake Charles Center houses an 80,000 square-foot fabrication shop capable of fabricating machined and sheet metal parts. The site performs major subassembly repair and overhaul, and has the capability to manufacture hydraulic tubing and oxygen lines. The Lake Charles site is responsible for all periodic depot maintenance on the E-8C Joint Surveillance Target Attack Radar System (Joint STARS) aircraft and the KC-10 Extender, the premier air refueling asset for the U.S. Air Force. As many as three Joint STARS and three KC-10s are in the site's hangars for service at any one time. The site's workforce averages 20 years of experience and in addition to contractor logistics support, they perform Air Force-requested modifications and upgrades to the aircraft. The center completes work on 10 Joint STARS and 14 KC-10s per year on average. LRQA is a leading provider of independent assessment services including certification, validation, verification and training across a broad spectrum of standards and schemes, with recognition from over 50 accreditation bodies. LRQA is a member of the Lloyd's Register group, a global engineering, technical and business services organization wholly owned by the Lloyd's Register Foundation, a United Kingdom charity dedicated to research and education in science and engineering. Please visit www.lrqausa.com for more information.